How businesses, universities, charities and other organisations can access funding support for European research and innovation projects. Horizon 2020 is the largest ever European funding programme for research and innovation. It has a budget of 79 billion euros and will run until 2020. This guidance is designed to help people in the UK understand and access the funding opportunities available, in order to innovate and grow both in the UK and abroad. The Horizon 2020 programme was established by the European Union (EU) as a collaborative financial instrument that would help secure Europe’s global competitiveness in research and innovation. The programme – running from 2014 to 2020 – is seen as a means of putting Europe at the heart of world-class science and innovation, making it more competitive, creating economic growth and new jobs. It offers an open, simple structure for accessing funding in order to remove barriers to collaborative innovation, get new projects off the ground quickly and achieve results faster. This area aims to tackle the biggest challenges facing modern society. It reflects the policy priorities of the European Commission and covers all stages of research and innovation, from concept to market. EU Flags in front of the European Parliament. See how other businesses have benefited from European funding opportunities. Horizon 2020 funding opportunities are open to all EU member states. You must form a consortium with other members of this status. For other, non-standard competitions different conditions may apply. The guidance for the competition will specify this. Get more information on eligibility. Email the Department for Business, Energy and Industrial Strategy if you face any problems in engaging with EU support. UK government encourages the UK research and innovation community to continue applying for Horizon 2020 funding and to participate in projects. This is because, until our departure from the EU, we remain a member state, with all the rights and obligations that entails. This includes UK organisations being eligible to participate in the Horizon 2020 programme while we remain a member of the EU. 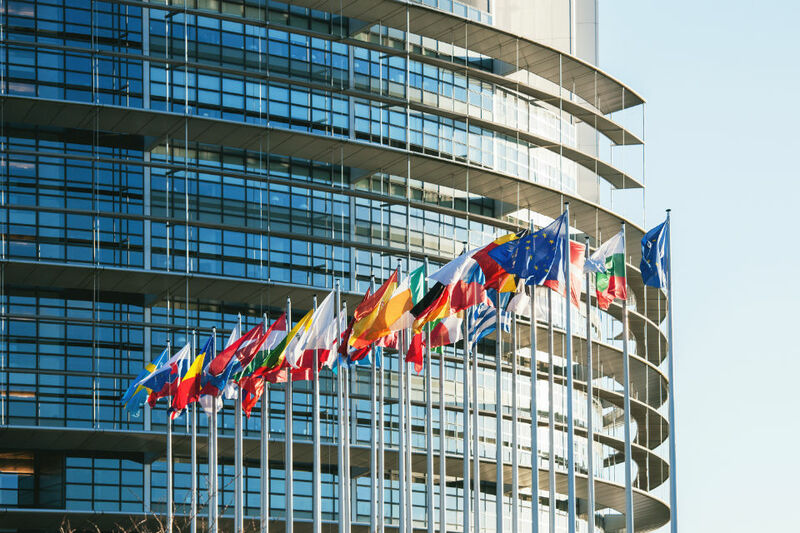 UK organisations’ eligibility in Horizon 2020 is intended to remain unchanged for the duration of the programme, as set out in the joint report on the UK’s withdrawal from the EU. This includes an organisation’s eligibility to participate in Horizon 2020 projects and to receive funding for the lifetime of these projects. The underwrite guarantee will remain in place even if the commitments made in the joint report are not met. Read the overview of the UK’s eligibility to participate in Horizon 2020. There are also some opportunities for people from other countries. You can find the full list of these associated countries and third countries on the Horizon 2020 website. Horizon 2020 provides different types of funding schemes. You can find more information about each stream on the European Commission Participant Portal. You can apply for funding for projects that establish or explore the feasibility of new knowledge or technology. You can get funding for up to 100% of your project’s direct costs. You can get up to 70% of your project’s direct costs if you are a business, or up to 100% funding if you are a not-for-profit organisation. You can get funding for up to 100% of your project’s direct costs. This stream is for SMEs that want to develop their growth potential. There are 3 phases and these cover the whole innovation cycle. You can also access a mentoring and coaching service. Find out if you are an SME. You can apply for funding for innovation activities that are close to market. To apply, you must be part of a consortium with 3 to 5 partners. Partners must be from at least 3 different EU member states or associated countries. If you are in the public sector, you can act as a buyer to encourage the development of new solutions to problems. This will give you access to innovations before they go on sale to others. This will also open up market opportunities for industry and researchers. If you are a contracting authority, you can apply for funding to help you act as a customer for new innovations. These innovations are products or services that are not available on a large-scale commercial basis. You can apply for funding if you are a researcher. You can get funding for up to 100% of your project’s direct costs. You can apply for funding if you are looking for support for fundamental research. You can get funding for up to 100% of your project’s direct costs. See the full list of live funding opportunities. 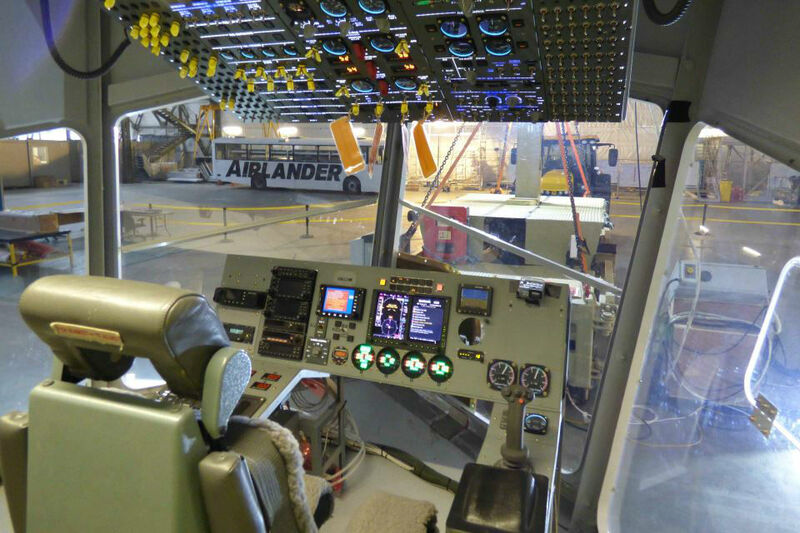 The flight deck of the Airlander, which was developed by Hybrid Air Vehicles with funding from the Horizon 2020 programme. Learn how Hybrid Air Vehicles used Horizon 2020 funding to develop its innovative Airlander hybrid aircraft. Once you have submitted your proposal the European Commission will check that you are eligible. A panel of independent experts will then assess your proposal. There is standard evaluation criteria, although this can vary for each funding scheme. Visit the European Commission participant portal to register and apply. If you are a UK applicant there are organisations that can help you find opportunities and complete your proposal. Find your local National Contact Point. The Enterprise Europe Network (EEN) works to advise and connect UK businesses with co-developers, manufacturers, distributors and suppliers overseas. Contact the EEN in England, Northern Ireland and Wales. Contact the EEN in Scotland. As our networking partner, the Knowledge Transfer Network (KTN) links new ideas and opportunities with expertise, markets and finance through its network of businesses, universities, funders and investors. Find out more about KTN. To apply for some Horizon 2020 funding schemes you will need to form a consortium with partners in other countries. You can find out about specific funding opportunities by attending a Horizon 2020 event. Register for news and information about Horizon 2020 events. 2 April 2019 Updated upcoming Horizon2020 events list with H2020 Briefing Webinar on the 2019 / 2020 Cybersecurity Calls webcast and European Conference on Crop Diversification 2019. 26 March 2019 Added SEREN4 H2020 event and removed March events. 30 January 2019 Updated the list of Horizon 2020 events to cover the next 6 months. 14 September 2018 Added a series of new KTN events. 9 May 2018 Added new information and links for Horizon 2020 events taking place in May and June 2018. 6 April 2018 Added new information and links for various Horizon 2020 events taking place in May and June 2018. 23 March 2018 Added new information and links for 2 MSCA Individual Fellowship briefing events in April and May 2018. 8 March 2018 Removed section on other European funding opportunities, which has now been incorporated into a new guidance page on global innovation opportunities: https://www.gov.uk/guidance/global-innovation-what-support-is-available Added upcoming events and links for Materials Research Exchange Conference and Exhibition, Horizon 2020 Brokerage Event Paris, LIFE Information Day 2018. 5 March 2018 Revised section on Horizon 2020 to incorporate the latest thinking from the joint report on the UK's withdrawal from the EU. It outlines the intention that UK organisations’ eligibility in Horizon 2020 should remain unchanged for the duration of the programme, including their eligibility to participate in Horizon 2020 projects and to receive. 23 February 2018 Added latest programme of Horizon 2020 events taking place in March and April 2018. 18 December 2017 Updated latest events. 7 December 2017 Updated latest events. 6 November 2017 Updated latest events. 24 October 2017 Updated latest events. 22 September 2017 Updated latest events. 18 September 2017 Updated latest events. 15 September 2017 Updated latest events. 8 September 2017 Added latest events. 15 August 2017 Updated latest events. 25 July 2017 Updated latest Horizon 2020 events. 30 June 2017 Added new sections on 'What is Horizon 2020' and 'What Horizon 2020 can do for you as a UK business' to clarify programme details and benefits. Incorporated information on funding while the UK remains a member of the EU in 'Find out if you’re eligible to apply'. Moved section on 'Get help with your Horizon 2020 application' above 'Get help to find a project partner'. Updated imagery. 7 June 2017 Added latest Horizon2020 events. 3 May 2017 Updated latest events. 27 April 2017 Updated with latest events and link to UK National Contact Point details. 4 April 2017 Updated latest events. 6 March 2017 Added information on SUGI programme under 'Other funding opportunities' and updated funding information under 'Electronic components and systems for European leadership'. 3 March 2017 Added information on ERA-NET programme under 'Other funding opportunities'. 2 March 2017 Updated latest Horizon 2020 events. 14 February 2017 Updated contact details and programmes we support. 11 October 2016 Added new events for October and beyond. 2 June 2016 Two past events removed. 3 November 2015 First published.